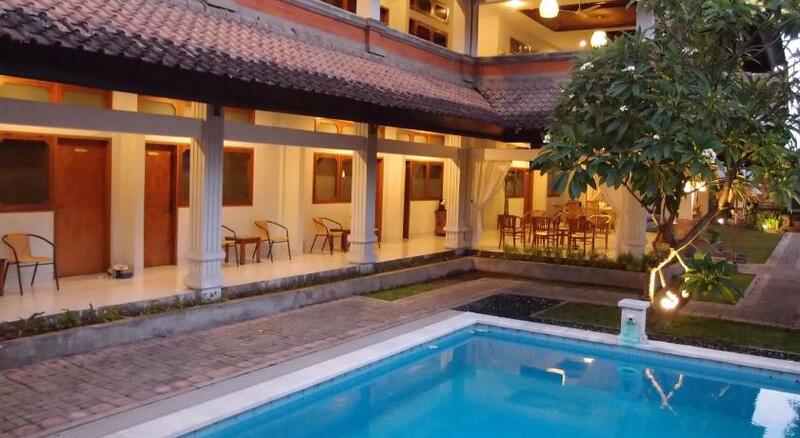 Hotel Maria - Kuta, Bali, Indonesia - Great discounted rates! 6.7 out of 10 based on 253 verified user reviews via Agoda. Set in a prime location of Bali, Hotel Maria puts everything the city has to offer just outside your doorstep. The hotel offers a high standard of service and amenities to suit the individual needs of all travelers. Daily housekeeping, gift souvenir shop, 24-hour front desk, Wi-Fi in public areas, valet parking are just some of the facilities on offer. Television LCD plasma screen, complimentary instant coffee, complimentary tea, towels, closet can be found in selected guestrooms. Entertain the hotel's recreational facilities, including outdoor pool, massage. Hotel Maria combines warm hospitality with a lovely ambiance to make your stay in Bali unforgettable. Hotel Maria - Bali classifies itself as a 1 star hotel.